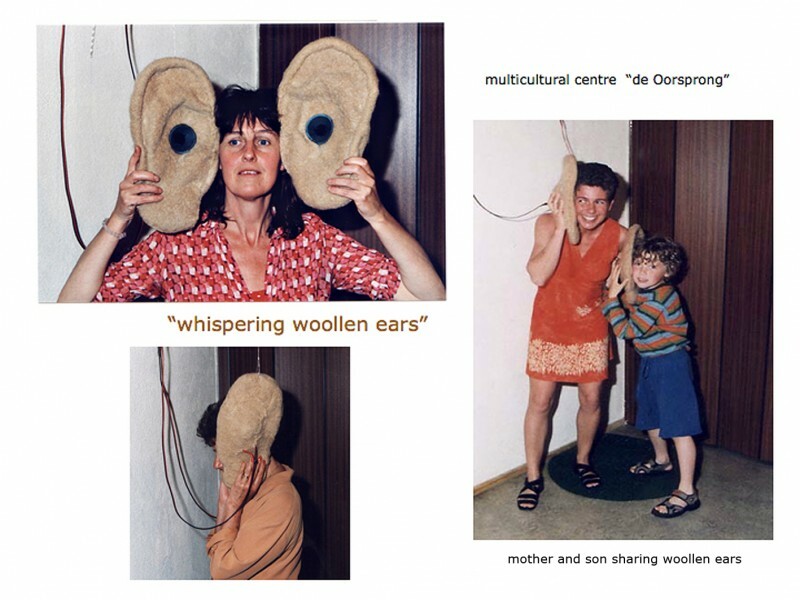 The “whispering woollen ears” were presented hanging in a corner near the bar of the multicultural centre spreading subtle whispering voices and soundscapes in the direct space. A binaural soundscape of a meadow full of sheep, like they are common in Schoorl, with a mysterious farmer entering the scene and a storyteller explaining about “woollen ears”… and the soundscape: “whispering museum” like a soundwalk through a large museum with whispered messages of inhabitants of Schoorl. In the other corner the “whisper phone” was inviting the public to whisper a personal message to the person with the woollen ears. Like “whispering karaoke” they could react directly on the soundscape compositions with the whispered messages of the inhabitants of Schoorl; positive messages like: “lots of luck for all” but also critical whispered messages about the heavy traffic in the main street, the lack of housing for the youth, etc. 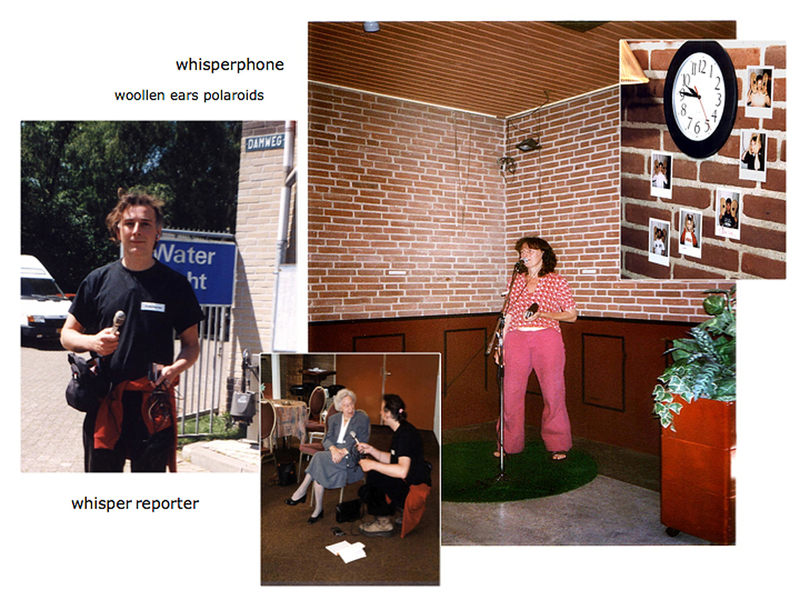 The “whisper reporter” was visiting the town centre and suburbs ringing doorbells and asking the people on the street, young and old, to whisper a message for the inhabitants of Schoorl.